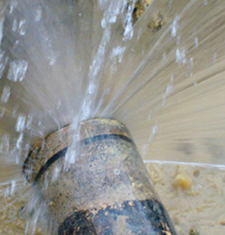 Water leaks can cost homeowners thousands of dollars in clean-up. In fact, water damage is the number two claim to homeowners' insurance companies each year. With leakSMART®, you can detect and prevent leaks from your washing machine, hot water tank or other appliance. The leakSMART home water protection systemuickly detects water leaks and immediately shuts off your home’s water supply -- all in less than 5 seconds. Learn more.